Great vid. Need more info like this out there. Because the so called clinical studies which are controlled studies are all showing multiple sets and high volume training to be most effective when compared to one set. Yet you showed in one of yours that one set is better for strength and growth. A lot of researchers who analyze studies say clinical studies are best yet there’s no studies for your stuff in that clinical setting. And they are done on conventional training methods. What’s your take on those clinical studies. They take the biopsies the strength increase after weeks etc. higher volume training to them yielded better strength increase and muscle than one set training. But still nothing on static contraction so. 1. We measure intensity. We determined that 1 set delivers higher intensity than 2 or 3 sets. We did not measure muscle tissue growth. However, intensity is what triggers growth. 2. I don’t know what specific studies you are referring to. But even if you find a study that says 300% more volume results in 5% more muscle you still have to ask yourself if that is a trade-off you’re willing to make. Still never a study showing strong range vs full range for muscle growth in terms of a clinical study with very heavy weight. We all know the strong range is best but full range has been done for so long people just still do it even though it’s less effective. 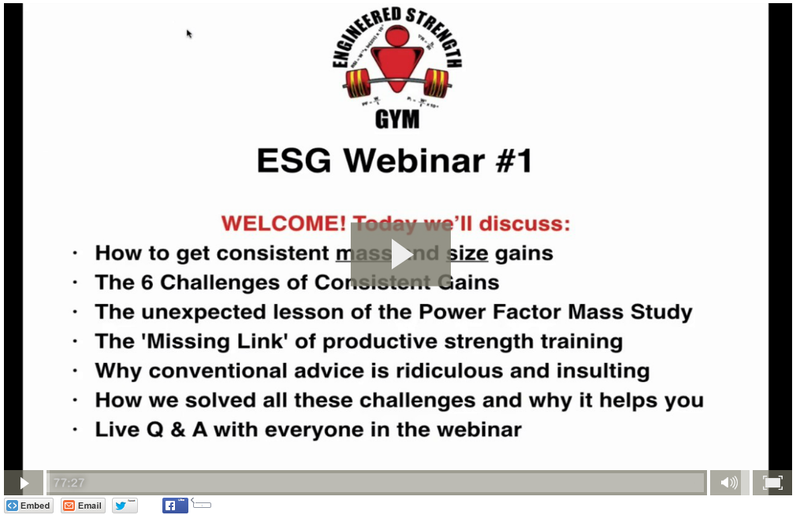 I don’t understand john littles opinions on using the weaker ranges for static holds though? He claims it’s better for total fiber recruitment more so than the strongest range. What’s the rational behind that vs strong range as you propose which seems safer anyways plus you can lift more weight. I’ve never heard a good argument for lifting maximum weight in the most injury-prone positions. Since we know it’s not a requirement of building strength, mass and size I just don’t see why it’s worth the risk. If a person is subject to man-made rules like in a bench press competition or certain gymnastic moves then the risk is a requirement. But there is no biological need to lift in your weak range in order to build muscle. Where did john little or whomever else that says the pre stretch position which is the weakest range recruits all the muscle fibers more than any other position come from? I’m sure it does something but why wouldn’t the strongest safest range recruit the same if not more muscle fibers? You know what I mean I don’t get the studies that show the priest retch position are recruiting maximal fibers. I’m always baffled by the claim that less weight recruits more fibers. ??? What universe does that happen in? Shall we all perform dumbbell curls behind our back because it’s so twisted and difficult that we can only use a fraction of our maximum weight – and therefore the exercise builds more muscle? True… Not sure why some claim the pre stretch range recruits more then? Some authors have tested it claiming it recruits more than strong range. John little quoted a few studies that the micro tears and cross sections I guess are better stimulated. But who knows. That’s not the only thing to muscle growth intensity is number one regardless. Again, the idea that it requires more muscle fibers to lift 100 lbs than it does to lift 200 lbs is just absurd. Why do people bother trying to prove such things? “A guy who weighs 150 is actually heavier than a guy who weighs 250.” The mind boggles. 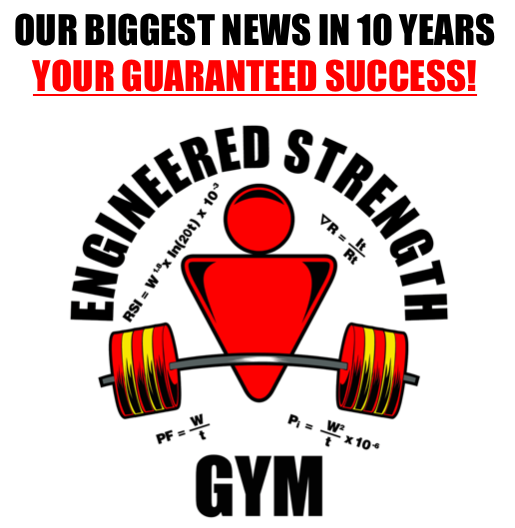 Maybe what they “test” is lifting 100lbs in the weak range vs the same 100lbs in the strong range and they find there are more fibers activated in the weak range. Maybe. But that’s a dumb comparison. What we want is the absolute maximum number of fibers activated in the absolute safest way. That’s a maximum weight in the strongest range. Better to lift 300 lbs safely than 100 lbs in a contorted position. 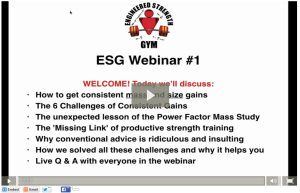 I will hopefully get watch this webinar in it’s entirity tonight. I’m enjoying the comments here. I enjoyed the webinar a lot. For whatever reason I have an interest in all this stuff. If someone has an outside of the box idea it usually gets my attention. It would be really cool to have a training partner to record all the external factors and then do the same for them. I personally find it distracting to count anything during a set. I like to be able to focus on form and not holding my breath. I like the comments Pete about not lifting in a contorted position and the comment about not having to work in the man made limitations of competitive lifts. It’s hard to believe that John Little would claim that static holds in the weak range of motion would generate more muscle fiber recruitment than static holds executed in the strong range of motion. That’s exactly the opposite of what he says in his books on Max Contraction Training. In any case, if that’s Little’s most recent stand on this issue, I totally disagree with him. The only point in your range of motion where you can achieve Maximum Intensity, and thus maximum muscle growth is at your point of maximum dynamic contraction, which is far as you can get into your strong range of motion. And I can prove that for you. Or rather, show you how to prove it for yourself! I see there are some newer comments here. Interesting stuff to me. James, good to see you commenting here as well. I read some of the lengthy dialogue between you and some of the other posters on I believe the “Strength vs. Size” article. Thanks Donnie; it’s good to hear from you again. It’s also good to know that you’re getting something out of these discussions and dialogues. There’s bound to be some controversy here. But controversy can be a good thing, because it gets a discussion going. It also gets people to think outside the box, and come up with new questions, and new answers. You also might like to know Donnie that I’m finally taking pictures for the book I wrote years ago on Maximum Intensity Training (MIT). I plan on making it available as an e-book, now that I know more about how to do that. So once the book is finished, I can send you a free copy of it, if you’re interested. As you might remember, I developed the Maximum Intensity workout plan specifically for the purpose of achieving MAXIMUM intensity, not just high intensity. So Maximum Intensity Training (MIT) is the workout plan that “goes beyond” high intensity training (HIT). 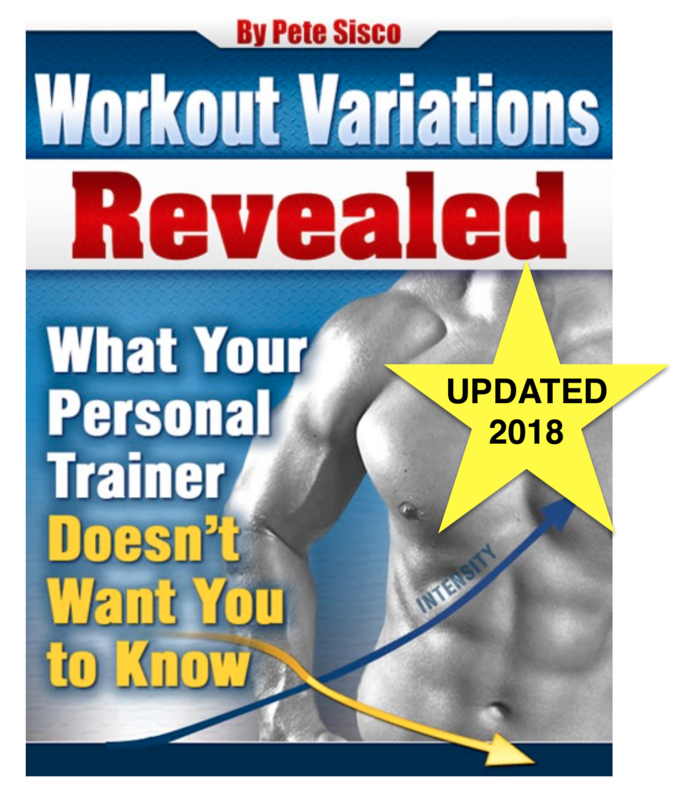 And all of the exercises in the book are static contractions, because it’s impossible to achieve maximum intensity(and thus maximum muscle growth) when doing reps of any kind. And that’s because whenever you do reps, the intensity constantly fluctuates, often dropping down to zero. Glad to hear you’re getting pictures taken for your book. Thank you very much for offering a free copy of your book. I am absolutely interested. I agree with the controversy of the meeting of different ideas and experiences discussed on websites like Pete’s here. Sometimes something as short as one sentence could trigger a thought, cause someone to think about and consider something new and different. Thanks Donnie. That’s great to know!